The structure of these will be a 15 minute presentation and 45 minutes of discussion, with a co-created story being written out of each session, true to the dynamic nature of knowledge in the Social Age. Every story should be different, but each cohort can learn from the others. In the Social Age, the relationship between organisation and individual is substantially different. The Social Contract itself has been fractured largely through the actions of many organisations over many years, treating people as collateral, and damaging the trust. In a world without careers, or rather with careers which are driven by us as individuals, surrounded by and supported by our communities, it’s down to organisations to earn a new kind of trust if they want our engagement. In this session, we will explore the nature of the Social Contract in the Social Age, and consider how leaders and organisations more widely can work to develop a new type of contract, and hence a new type of engagement, based upon trust. In the old world, we worked in an office. In the Social Age, we work everywhere, or, more specifically, we work in places that let us be productive, collaborative, connected, and comfortable. Good coffee and free Wi-Fi are likely more important than a fancy office and access to the printer. Organisations should focus less on creating the perfect work environment and more on creating space for people to work in ways that they decide work best. There is not likely to be one answer to a question that involves so many people, so the solution may be to provide greater space and freedom for people to choose for themselves. All of this requires a relinquishing of traditional mechanisms of control, where part of work was to be seen to be working, and part of leadership was to exert the power of leading. To make an organisation fit for the Social Age, we need to adapt the very nature of work and answer some key questions: what are we doing because we’ve just always done it, what are we controlling, because we just feel better if we are in control, and what spaces are we hanging onto simply because we have a legacy mindset where space equals power? In this session, we’ll explore the new Nature of Work, and consider how organisation should adapt. Social Capital is our ability to survive and thrive in the new world, specifically in online collaborative spaces and Social Learning communities. We must develop populations of Social Leaders who themselves have high social capital, fighting for fairness and equality, nurturing and developing communities, and building a form of authority based upon their reputation. 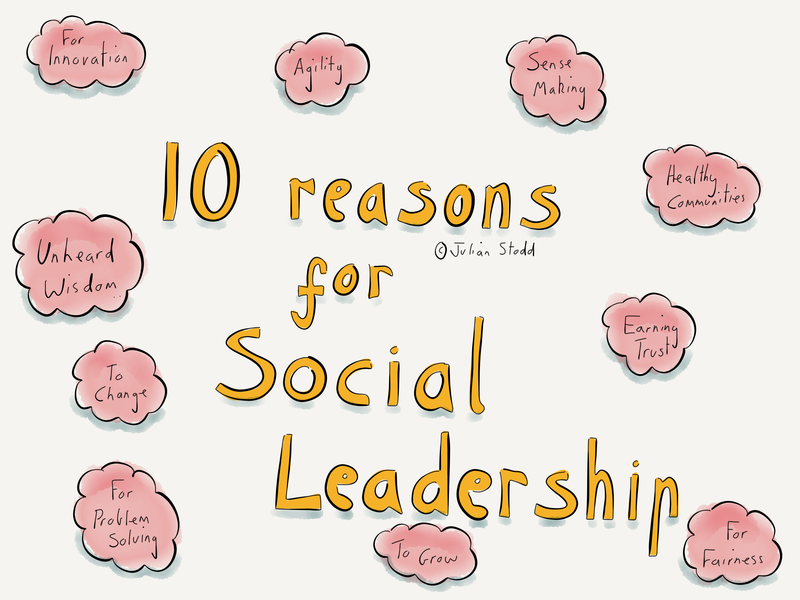 Those Social Leaders must then develop high social capital and others, ensuring no gap opens up between those who are enabled by new technologies and ways of working, and those who are left behind. This is particularly important in global organisations, where we are separated not simply by geography, but by differentiated legal, moral, and ethical frameworks. It is the role of the Social Leader to navigate this space and ensure that nobody is left behind. In this session we will consider what social capital is, how it is formed, how it is squandered, and how we create conditions for it to be built. As formal power is eroded by the impact of the Social Age, with its democratised webs of communication and socially moderated authority, authenticity becomes key. Authenticity is about the honesty of one’s own actions, and the integrity of the foundations upon which those actions are taken. Authenticity cannot be bought, only earned. 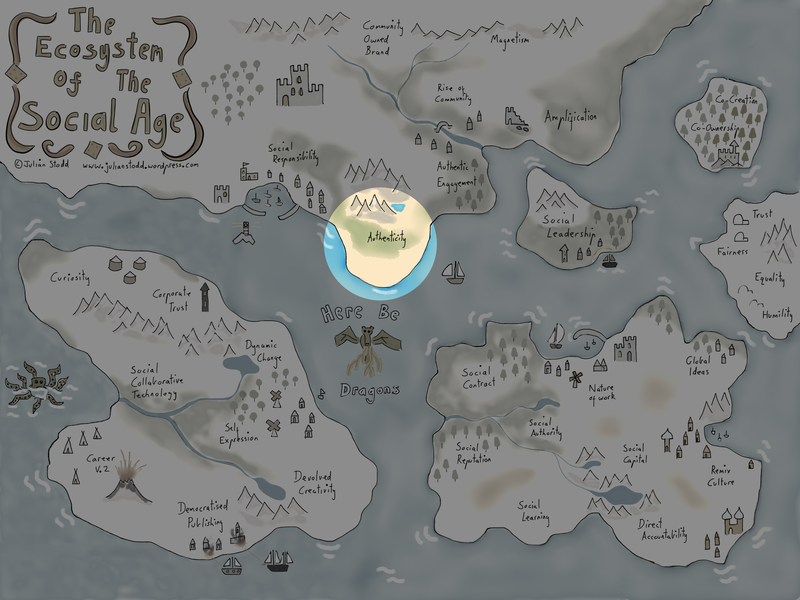 The Social Age sees two spaces: the formal world, governed by formal rules, and the social world that surrounds it. In social spaces, its authenticity, and specifically the authenticity of our stories, which enables them to be amplified, and hence for our reputation to be built. In this session we will explore what authenticity is, how you earn it, how it relates to storytelling, and how organisations themselves can be authentic in their actions if they wish to generate engagement. 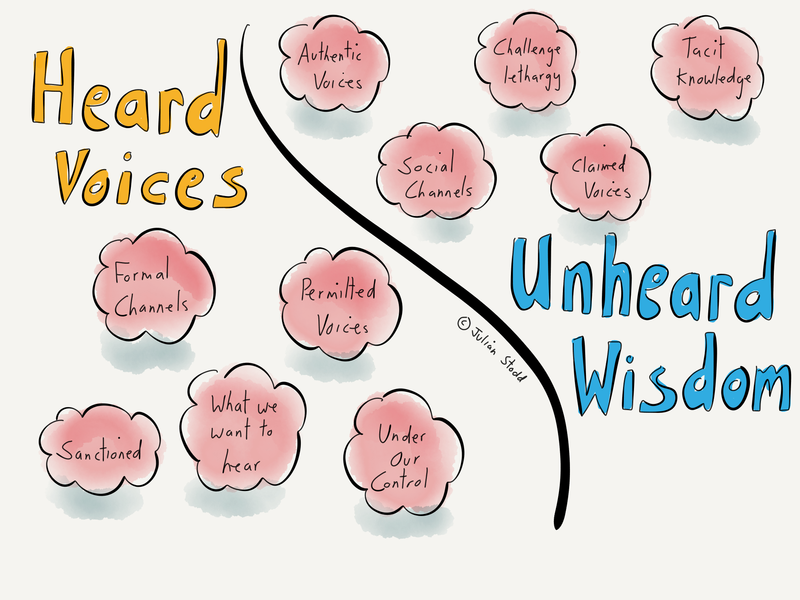 Unheard wisdom is that which is hidden within our communities, out of sight of the organisation, embedded within the tacit, tribal knowledge that is both hard earned and almost entirely invisible. 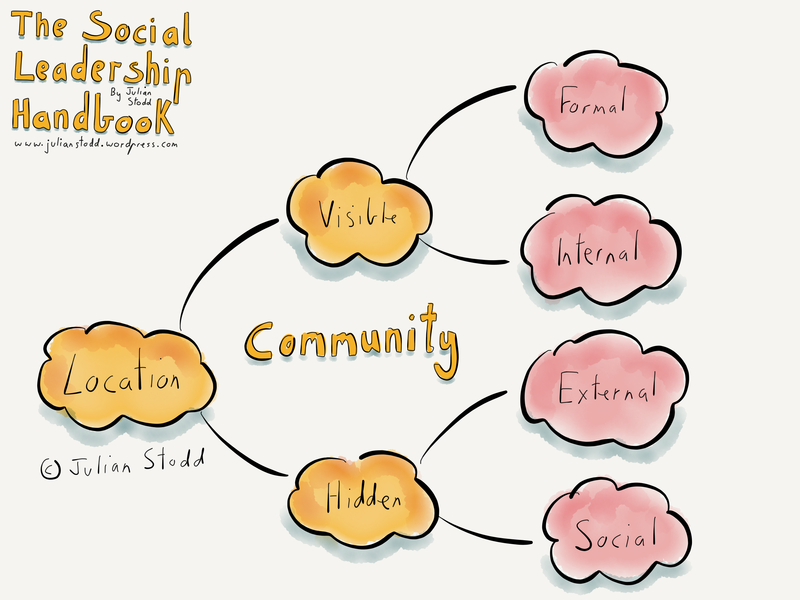 To be Socially Dynamic, an organisation needs to evolve its learning approach to be more social, still utilising formal aspects, the formal story that the organisation wants to tell, but incorporating increased social aspects, the experience that is lived within the community itself. In this session we will explore what social learning is, how organisations can take this understanding on board and evolve the learning function, and the core skills required for people to thrive in Social Learning spaces. This includes skills around storytelling, sense making, challenging, and sharing. Social Leadership is a form of authority that is founded upon our reputation, earned within community. It’s socially moderated, granted to us by the community itself, and taken away just as easily. It’s a form of authority that is earned over time the consistency and integrity of our actions, and it directly challenges formal authority. In formal spaces, we can rely upon formal authority, as organisations adopt social learning approaches, and require greater collaboration to be successful, much of which takes place in social spaces, Social Leadership will come to the fore. In this session we will explore the foundations of Social Leadership, and also explore the conditions for success. 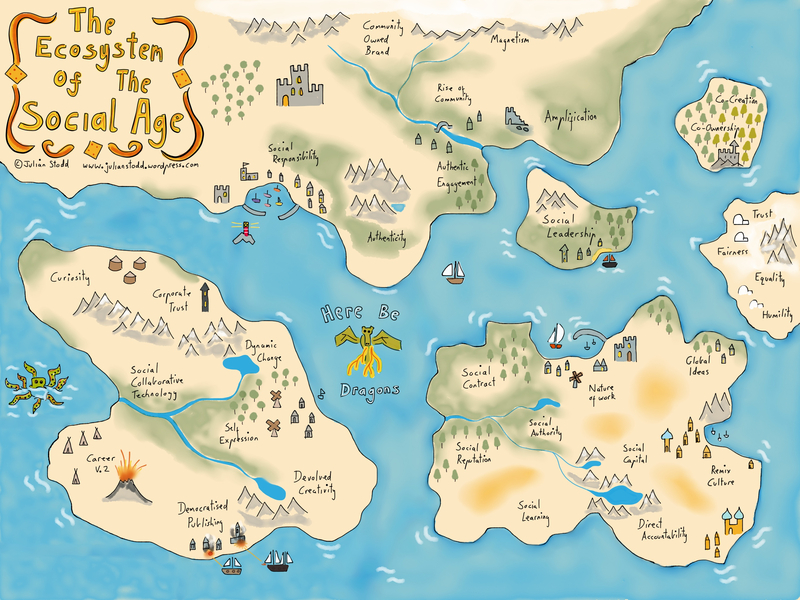 The Social Age has seen change in many industries, few more so than publishing: it used to be that owning the printing presses, the mechanism of production, and the methods of distribution, meant that we owned the power and control, but today, through the impact of technology and the rise of community, that is no more. Today, anyone can publish, outside the control of any organisation (and also outside the support of the type of editorial development that that relationship may have given), but fully within sight of the community. 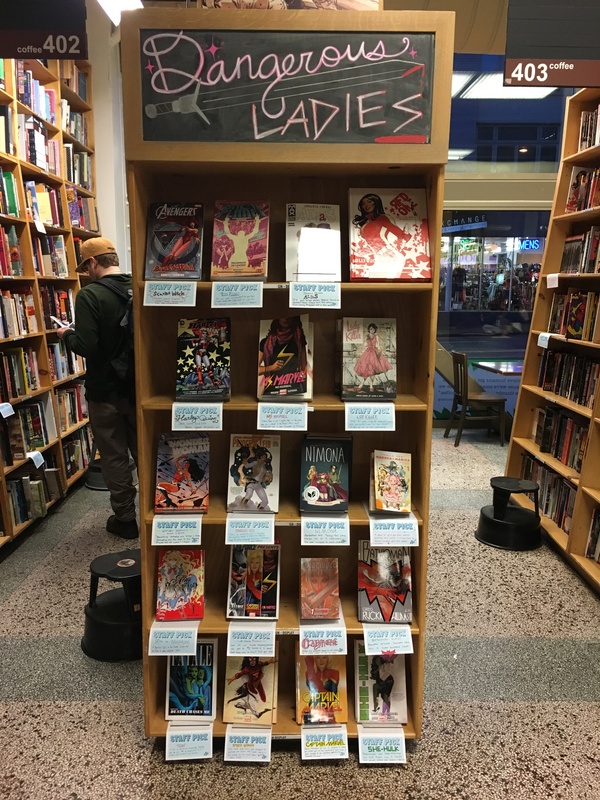 It’s the community that will judge what is good or bad, and crucially it is the community that will amplify and spread the stories that we publish. In this session we will explore aspects of the democratisation of publishing, how it relates to reputation and Social Leadership. Key to understanding the impacts of democratised publishing to understand the formality or social nature of the different channels through which we publish, not simply from a technical viewpoint, but how they relate to authenticity and even trust. Within a formal hierarchy power is codified into the structure itself: within a social community, it’s codified into trust, and trust is a fickle and subjective thing. 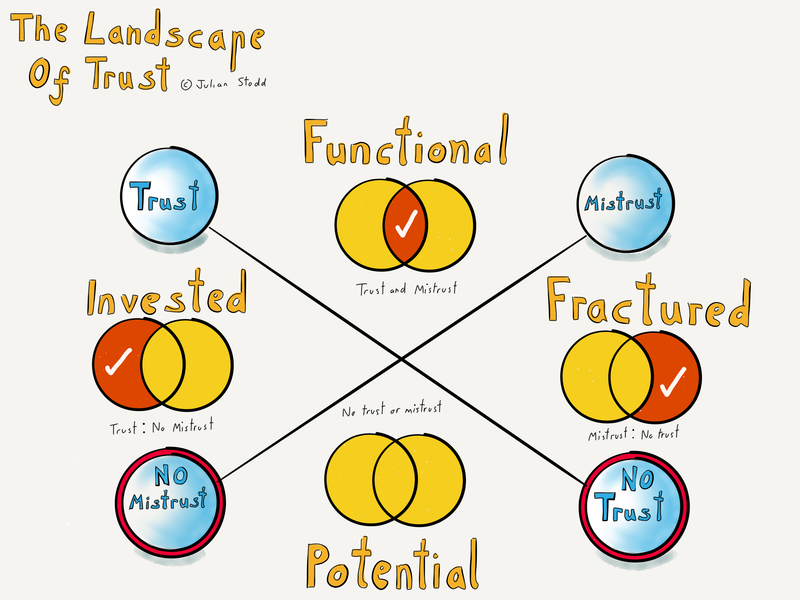 The type of trust held between two individuals is different from that held between an individual and the organisation they work for, and different again from the type of trust we hold in things, technologies, and spaces. We need to understand how trust is earned, and how trust is broken. In the Social Age, trust has become a golden currency, not one that can be minted, or bestowed, but rather one which must be earned. In this session we will explore some of the work around the Landscape of Trust, particularly looking at the relationship between trust and its partner currency of mistrust. We can have a situation where we have both trust and mistrust, and it sits with us to understand how the two work together or lead to disconnect. We look at some of the original research and narrative accounts of trust and consider what we can do individually and organisationally to create conditions where trust is earned. This will help us to build the Socially Dynamic organisation, one that is truly fit for the Social Age. Some things that used to be considered soft now, in fact, hard. Fairness may be one of these, were previously we thought it was something that was nice to have, but that hard power would carry the day, today, in social spaces, it is fairness it will act as the foundation for the reputation that we earn and therefore the power that we can wield. Fairness, because that Social Authority is consensual. 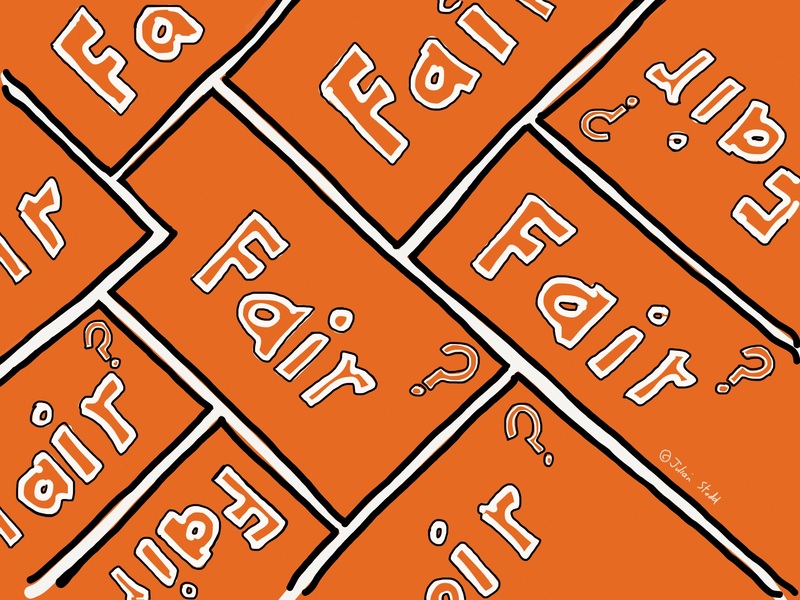 Fairness can act as a moderating force in many types of encounter: it’s something we should apply in the day-to-day, not simply something that should be written in corporate values. In this session we will explore the relationship between Social Leadership and fairness, and also introduce the framework for fairness, a model which allows us to consider the gap between intention and impact. 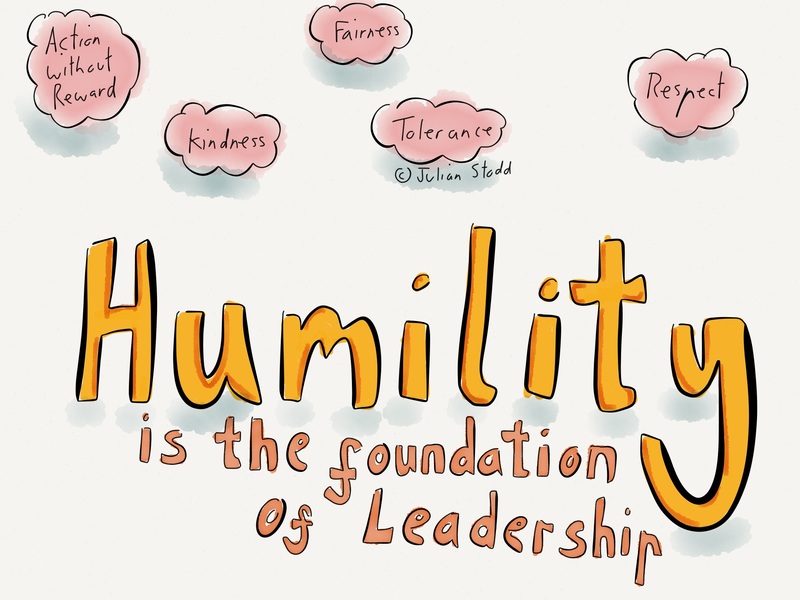 In a broadcast model of authority, where those who shouted loudest were most likely to be heard, humility was less likely to be important: in the Social Age, our reputation will be founded upon our willingness to help others succeed, to act with fairness and kindness, to earn trust, and promote equality. Our strength will come from our community, and the relationships that we forge within it: not transactional relationships, where we expect reciprocity in the moment, but rather an investment of our time and energy in other people and the community itself. In this session, we will explore how humility it is important when dealing with community, how it directly reinforces the fact that the knowledge itself is spread through the community, and we will only be able to access this tacit and tribal knowledge if we earn the right. We are unlikely to earn it through bluster and strength alone. The Social Age has seen the rise of community: many different communities, some formal, some social, and many lying in between. Some of these communities are visible to us, whilst others are out of sight, some are open, available for anyone to join, whilst others are exclusive, open only to a few. Some communities thrive and are active, whilst others are a community in name only,, dusty remnants of long gone conversations. In this session we will explore the different types of community, look at how communities are important in Social Learning, Social Leadership, and in the building of the Socially Dynamic organisation. We will consider the role of technology in facilitating community, whilst understanding the technology will not give us community in itself. Finally, we will explore how organisations must create space for community to emerge, and nurture it as it does so. 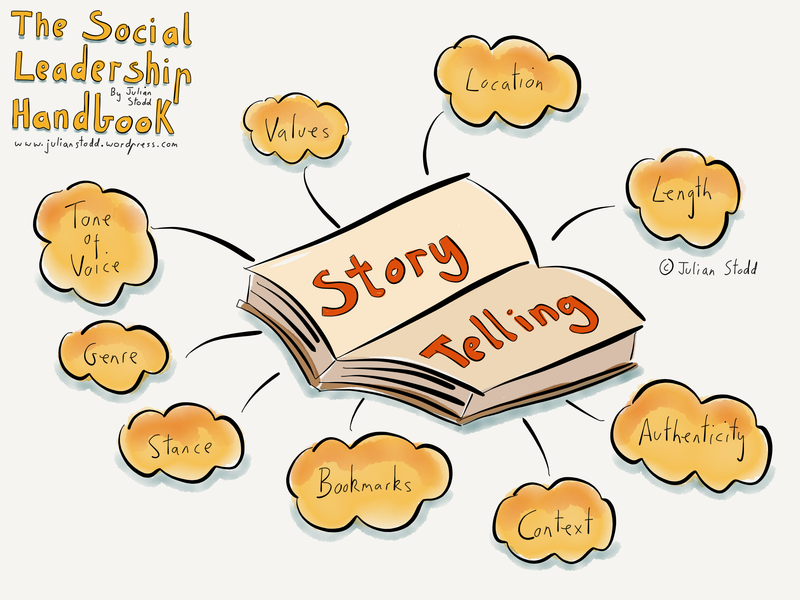 Stories spread throughout our communities, different types of stories in different spaces serving different purposes. Some of these are formal stories, pushed through the network, whilst others are cocreated by the community itself. Some are individual stories we choose to share or which remain hidden forever. In this session we will explore co-creation, particularly the co-creation of stories, the benefit we can get through the process, how these stories spread and are amplified, and the relationship between formal and social stories. We will learn about amplification, and the ways that we can create conditions for stories to spread through our network. We will understand about social filtering and social moderation, and how these forces shape the co-creation of stories. 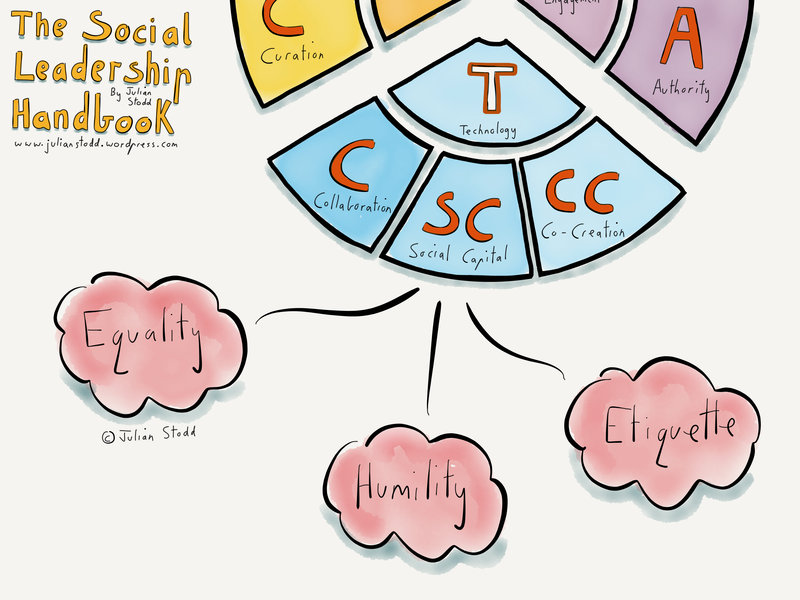 This entry was posted in Social Age and tagged Amplification, Authenticity, Community, Fairness, Future of Work, humility, Publishing, Social Age, Social Capital, Social Contract, Social Leadership, Social Learning, Trust, Webinar, Work. Bookmark the permalink. Great material that your publishing, today when people are taking about the social age they think tools facebook, twitter, instagram, you get the drill. But the social age as you define it is much more than that. It’s a culture, it’s openess, humility and so many other things like you define it. I see leaders that exceeded in the past now struggling in this new social age. I’m interested in seing the discussions that your blog will generate.